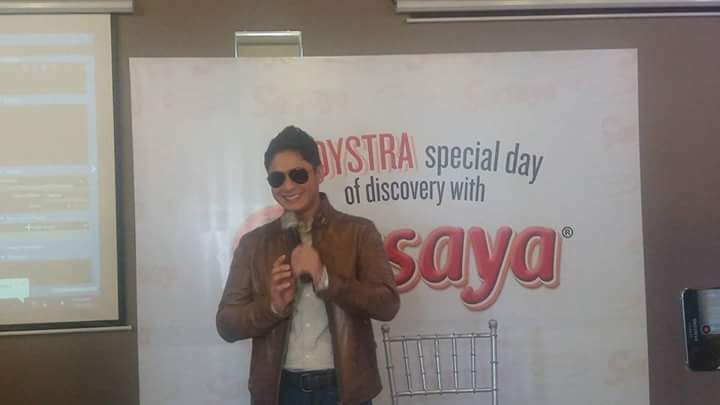 Earlier today, Ajinomoto Philippines Corporation launched Sarsaya Oyster Sauce product in a press conference at Madison 101 Hotel with celebrity endorser, Coco Martin. Primetime King Coco Martin shares the love for cooking with his grandmother. He shared that his grandmother uses oyster sauce in cooking tasty beef steaks and delectable chopsuey. Chef Mcrhyan Rodrigo did a live cooking demo featuring Ginisarsayang Kangkong with Tonya, plus his take on Thai Style Stir-Fried Chicken. 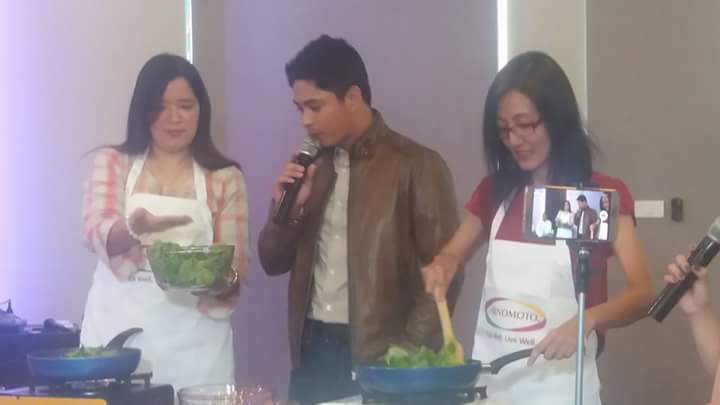 A cook off followed shortly wherein 2 guest competed with their version of Ginisarsayang Kangkong. 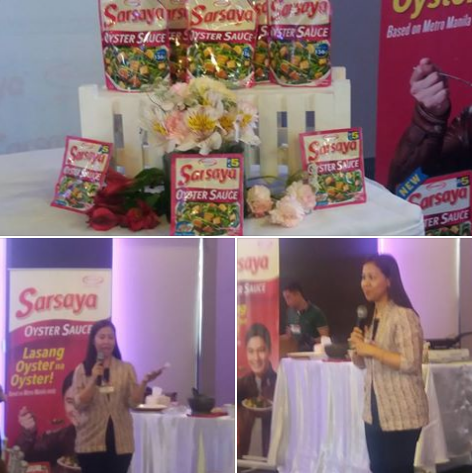 Sarsaya Oyster Sauce is made from real oysters, complete with seasonings that provide a delicious blend of savory, sweet and salty taste to enhance any dish and make flavorful. Get it from leading supermarkets in 30-gram packs or 156-gram stand-up resealable pouches.